Consider the following scenario. It is early September and you have just turned on the panic channel on TV to hear that a hurricane has just formed off the Cape Verde Islands and the directional arrow on the TV is pointing straight at your house. What do you do? First of all, you should already have a strategy for hurricane preparedness where if the decision is made to implement the plan, action can swiftly be taken. In advance of the plan, you have already discussed your financial exposure to loss with your agent and know what your house is covered for, as well as your deductibles in the event of a claim. A storm can be tracked for 7-10 days after forming in the far eastern Atlantic, wherein the changes in trajectory may be forecast so that when the storm affects you there should be a reasonable expectation of severity. Depending on the intensity of the wind and rain, decisions will need to be made as to whether or not you should stay in your house or seek shelter in a safer structure. Am I in a mandatory evacuation zone? Do any household members have medical needs that require electricity, including air conditioning, as an electrical outage may persist for days or weeks after a storm passes? What is the condition of the roof and what kind of winds do you think it will withstand? This takes into account factors such as roof age as well as its overall condition and quality. Are the windows and doors protected so that if something blows into them they’ll withstand the impact? If a breach is caused to the structure, it may result in significant damage. In terms of the surrounding area, are there objects that may become airborne in a storm that may impact the building, or are there trees that overhang above the structure that may come crashing down on the roof? If the house has a potential exposure to falling trees which have not been pruned or cut back, then leaving may be prudent as tree limbs impaling a structure’s roof can be disastrous to the inhabitants even in a lower intensity storm. Is there enough water and food to last for 3 days after the storm has passed, along with the accessories needed to prepare and preserve your supplies? Common advice says that people need to be self-sufficient for up to 3 days, since emergency responders may take that long to provide relief in the event of a serious catastrophe. It is smart to err on the side of caution, particularly if there are health issues involved. No one likes to leave their homes unattended in an evacuation but sometimes it has to be done. The closer you are to the ocean, the more likely it will be that an evacuation is necessary. Protect your life and yourself first and your possessions second when it comes to prioritizing with respect to decision making. Cooper City, FL, July 27, 2018 – Rolfs Insurance Services retains its Best Practices designation, once again becoming a part of an elite group of independent insurance agencies around the United States. This status comes by participating in the Independent Insurance Agents & Brokers of America (IIABA or the Big “I”) Best Practices Study group. 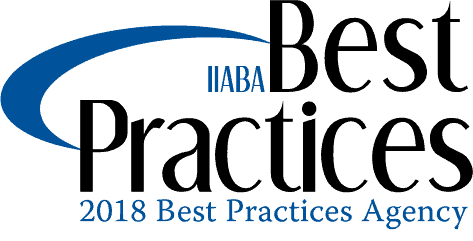 The annual survey and Study of leading independent insurance agencies documents the business practices of the “best” agencies and urges others to adopt similar practices. Rolfs Insurance Services was founded in 1997 and offers a wide range of insurance products including personal and commercial lines of property and casualty insurance as well as life and health coverage with professional guidance and advice. For further information, please contact Rick Rolfs of Rolfs Insurance Services by calling or clicking here. “It’s not going to hit my neighborhood.” “The weather report is flawed and the storm will not impact me.” Many people use denial as a defense mechanism for circumstances which are beyond their control. While this may be a relatively common reaction by many, it is not a healthy way to deal with the potential arrival of a storm that may have the probability to change your life. This type of thinking provides people an excuse to do nothing in terms of preparation for a catastrophic event. As a result, some people don’t get ready for a storm until it is painfully evident that they are about to be impacted. It takes time, energy and money to prepare for hurricane season. All of these things can be mitigated with early organization and coordination with respect to planning for such an event. It is flawed thinking to believe that the potential damage that can occur as the result of a hurricane is simply fate. We have the ability to mitigate potential damage to life and limb by thinking ahead and taking action. While it may be cliché to think in terms of an evacuation plan, have a communication strategy with loved ones in the event that telephone and internet infrastructures are knocked out. Have an approach for notifying your insurer of potential loss. This type of thinking empowers people to take control of their destiny. By dealing with the situation in a proactive manner, a sense of fate may be removed allowing for a better directed outcome. Remember, that hurricane forecasting is an inexact science. When watching the meteorologists on television, know that there is a margin of error. Realize that you must be prepared just in case. Understand that if the weatherman says the storm is coming and then it does not come, this is not a reason to disbelieve future weather reports. It is always best to prepare for the worst and pray for the best. Don’t let complacency keep you from being ready. You have the ability to minimize potential losses with proper planning. At Rolfs Insurance Services, our intention is to help our clients avoid risk when possible. If the risk cannot be circumvented, then we try to help our clients mitigate potential damage if possible. Finally, if the potential for financial damage does occur we help our customers to transfer that risk to an insurance company through the payment of a premium with quality carriers that will respond. Feel free to call us to discuss your plans, and if you have family and friends that can utilize our services kindly have them give us a call.